1. DESIGN FEATURE: Double Layer-high compression, lightweight stretchy fabric and moves with your body while performing any activity. and prevent rolling up or down when move or sit down.This lumbar support belt provide enough support for back pain relief and correct your posture.Adjustable Zip & 3 Rows of Hooks for different level of compression,hook on the top design make front zip easy on&off. 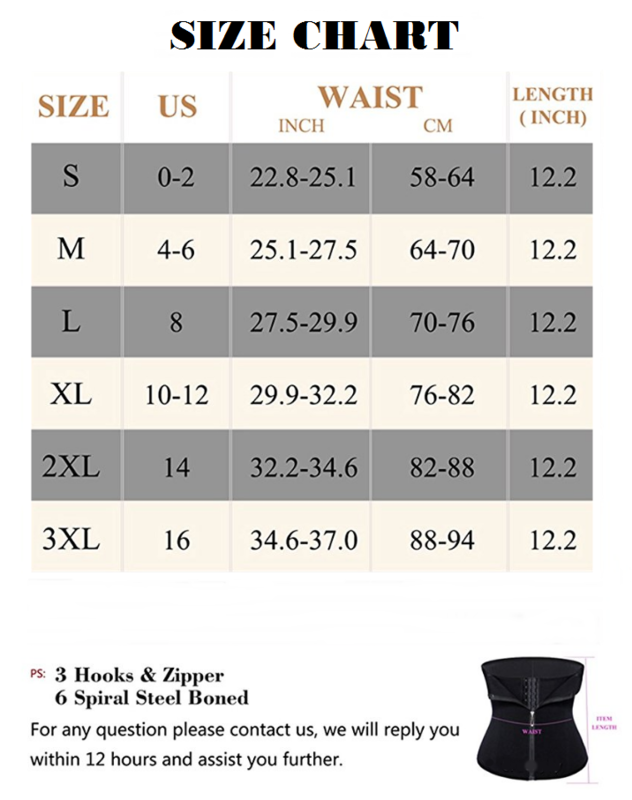 Zipper easy to pull from the bottom and allow you to hide it and give you a slimmer. 2. 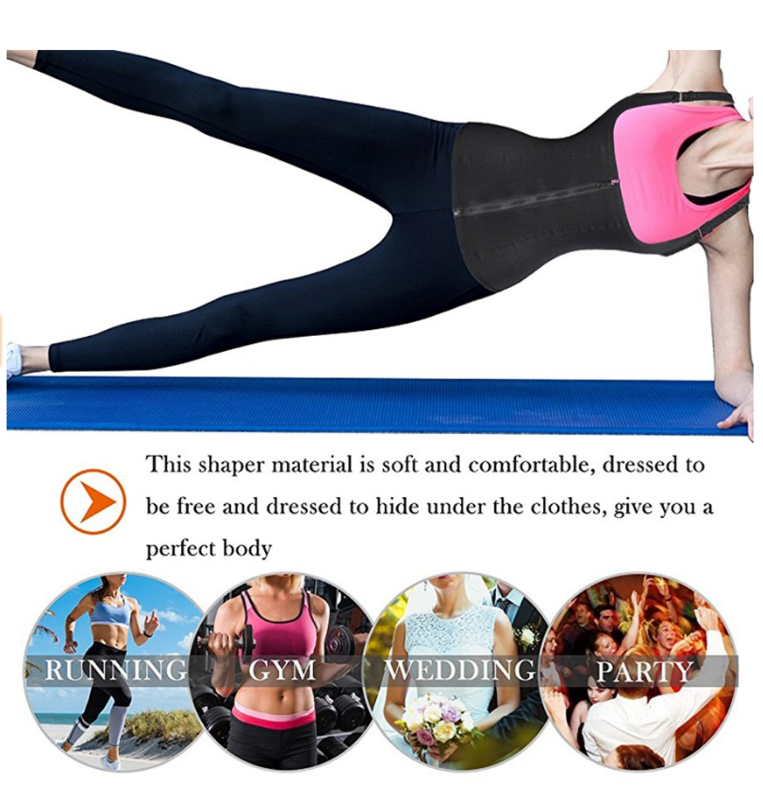 FUNCTION: Neoprene sweat sauna waist trainer support have full compression and control which flattens the stomach, Powerful slimming for the waist & lifts hip and back bust area. 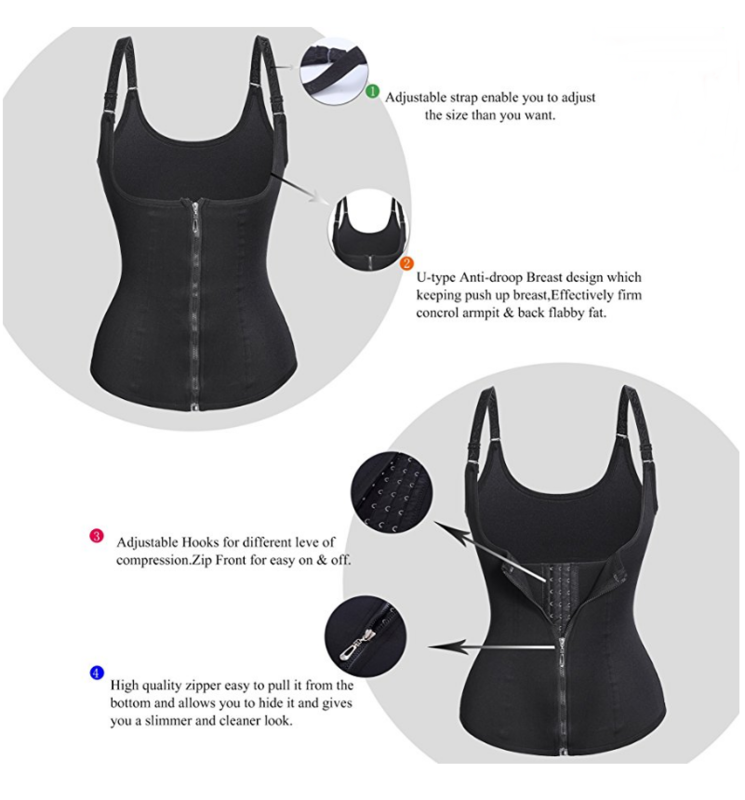 It looks great and matches with any combination of workout tops or can even be worn under everyday clothes.And it helps to reduce at least 2 inches in waist you need to shrink your belly before wearing this trainer corset. 3. BURNING FAT EFFECT:When worn during exercise, the compression stimulates thermal activity in your core which increases perspiration, allowing toxins to escape. Speed up weight loss and will create a portable sauna around your waist. 4. WEARING OCCATIONS: Office, Club, Party, Wedding, Gym, Festival, Holiday. 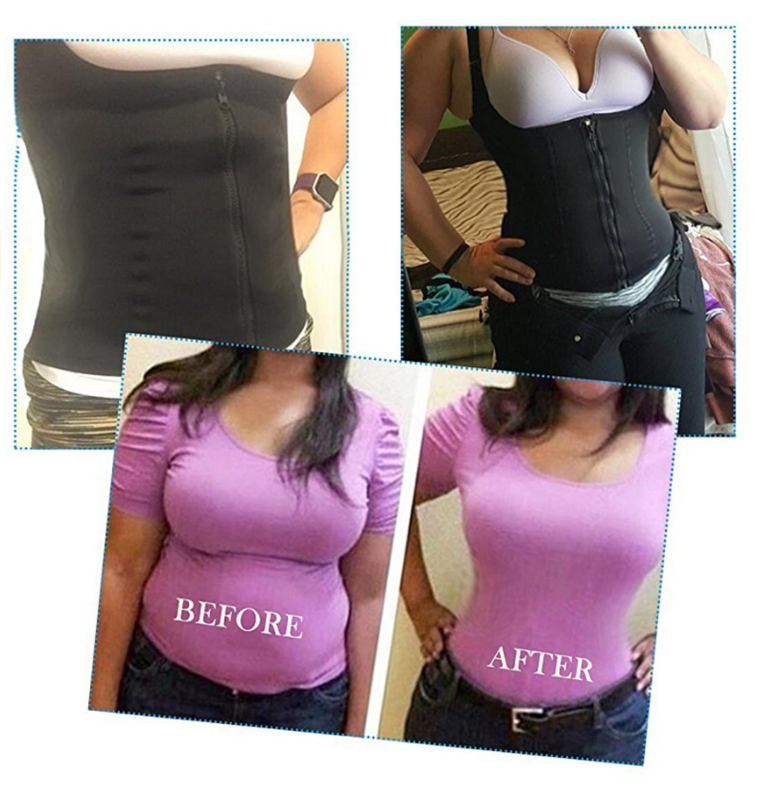 Any occasion or daily life you want to be slimmer. Best to Use for running, yoga, gym and all kinds of workout activities for crazy sweat. 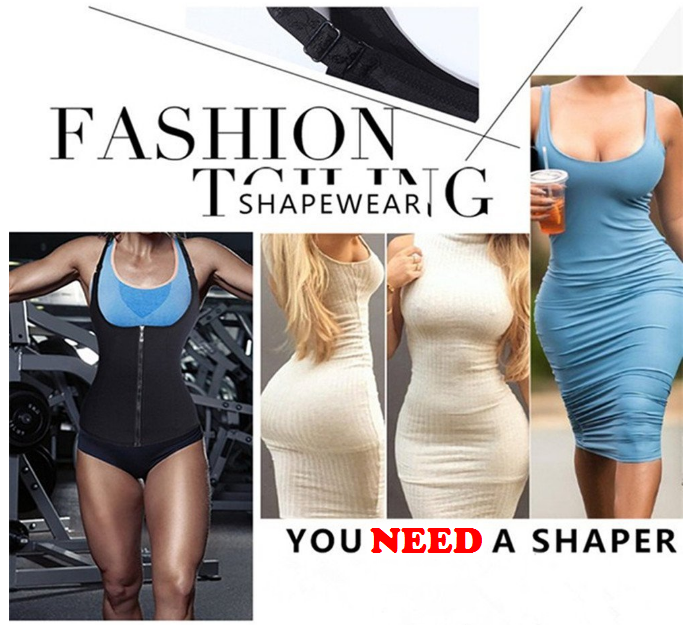 Curvy Waist trainer design to shape your slimming waist at the same time, can be use for body shape and back support.